I really like to look for new interesting Open Source applications and I love to try them all too. I am very interested in photo and video related software, so if I suddenly hear some news about a non linear video editing application which I had never heard of before, then I am as happy as a child in a sandbox. 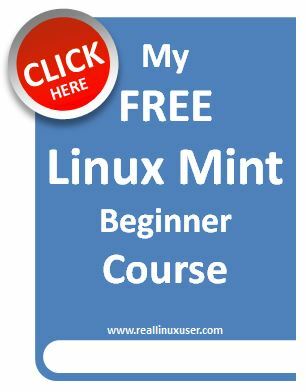 For linux there are a lot of video editing solutions to be found, but not “and free”, “and open source”, “and aimed at the professional user”, all combined in one package. Of course open source applications such as Kdenlive and Shotcut offer professional possibilities, but they are not specifically aimed at professional workflows such as the market for television series and Hollywood blockbusters. On the other hand, we have access to the fantastic and professional DaVinci Resolve, where an almost complete free version can be obtained, but is not open source. But now there is Olive, which is “and free”, “and open source”, “and aimed at the professional user”. So let’s see what Olive has to offer. In their own words “Olive is a free and open-source project to deliver high quality video editing and compositing to everyone. 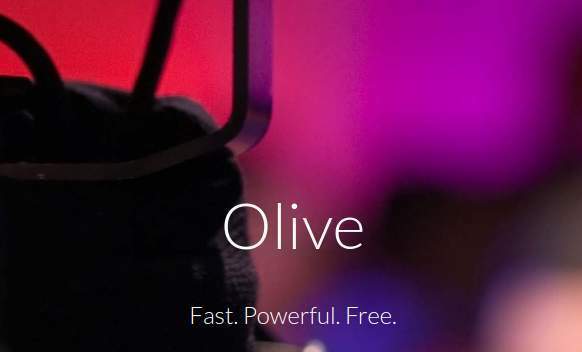 Olive aims to provide a fully-featured alternative to Adobe Premiere Pro, Apple Final Cut Pro, and Sony Vegas Pro without compromise. A powerful, yet user-friendly, solution for creatives everywhere.”. Olive is a new kid on the block. It is not even in beta. Olive is currently in alpha, but it is being developed with a lot of passion so we can hopefully expect to see a full featured professional grade first version somewhere later this year. But at this moment there is already a lot to try. 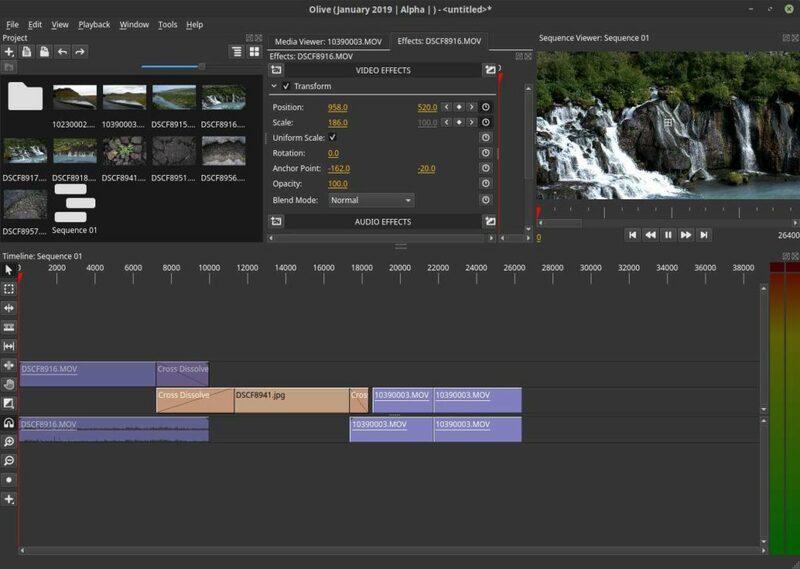 While yet in the baby stage, Olive already features hardware accelerated playback, video and audio effects, keyframe functionalities, a serious set of editing tools, a transition tool, dragging and dropping clips, fast and smooth video scrubbing, speed manipulation, timeline autoscrolling, audio scrubbing, fast exporting, zooming and scrolling in the viewer, full screen mode and support for Unicode filenames. And there is much more in the pipeline. When you start Olive the first time it very much resembles the interface of Shotcut, which in my opinion is a good thing. It is very clean and minimalistic, but can be changed to your own preferences by dragging and dropping different interface components to your liking. You can zoom in and out your raw media in the project media management area. You can manage your different raw media files in folders. You can switch on and off different interface components like Project, Effects Control, Timeline and Graph Editor. And you can zoom on your timeline. And not the least, I love the way the keyframing interface has been designed. 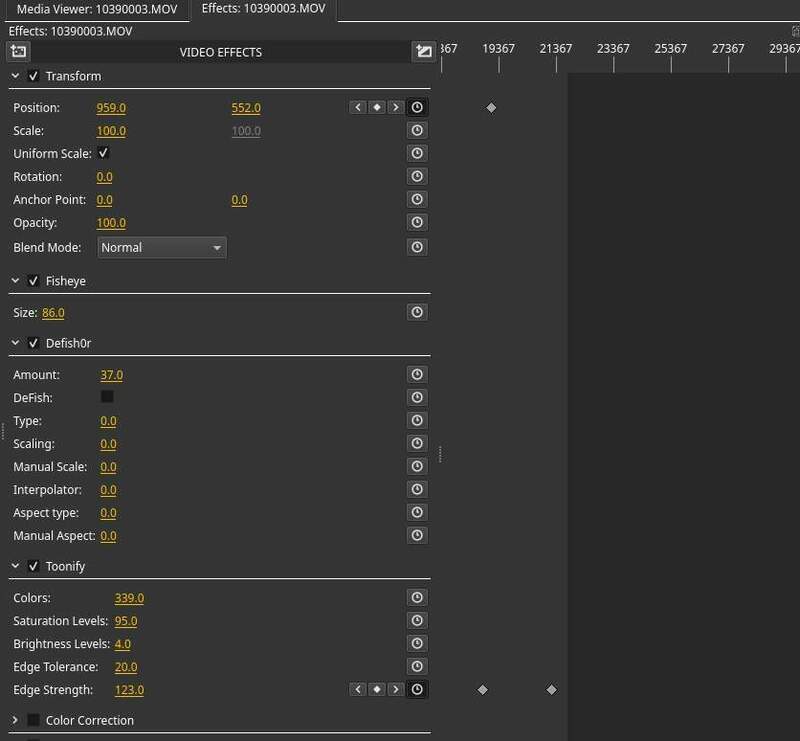 Keyframing, with manipulation options on position, scale, rotation, opacity and blend mode, has been made very intuitive and visually productive. Although I really like the professional editing suite DaVinci Resolve, a real pain in the *** is the fact that it doesn’t accept all types of raw footage, without converting it first outside of the application. But in Olive everything works directly out of the box. It doesn’t matter what kind of video format I try to import, it all works without any hassle. Another great thing is the option to create folders in the media library, so you can organize your raw source files to your convenience. Olive offers different editing tools like Razor, Slip, Ripple, Slide, Hand, Snapping and Transitions. Snapping works like a charm. The ripple tool works great. 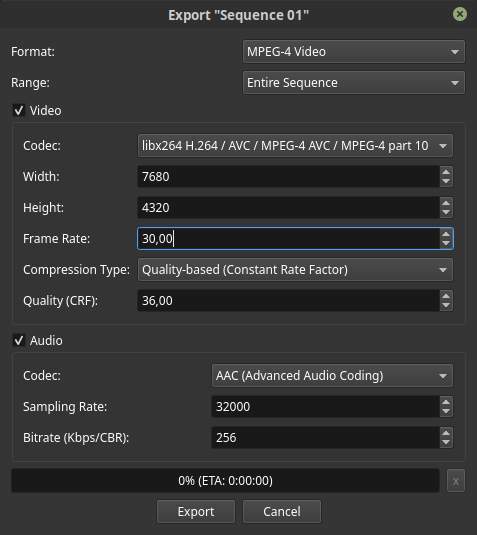 I tried all of the available non linear editing solutions for Linux and what I must conclude is that Olive offers absolutely the smoothest and crashless scrubbing of video material I have ever experienced under Linux. Or more in general, I couldn’t get Olive to crash at all. I already mentioned it before, but the way you can play with keyframing in Olive is really great and really intuitive. You can use position, scale, rotation, opacity and blend modes transformations, audio volume changes and panning with your keyframes. 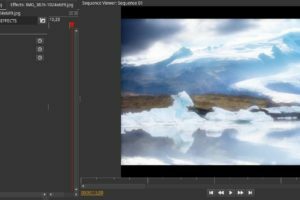 Further in this alpha release there are already more than 50 different effects available, like multiple blur effects, color effects, distortion, keying, rendering and stylize effects. And these effects can be used in combination with keframing as well. For controlling your audio it is possible to use VST plugins. Olive offers a text module that can be used in combination with keyframing. Font type can be changed and font size, color, alignment, word wrap, outline, color, shadow and shadow settings are options that can be used to create the impact you need. Color can be handled and manipulated via different available effects that can be applied to your video. Think about manipulations on Brightness, Saturation, Edge tolerance, Edge strength, Huey, Tint, Exposure, Contrast, Highlights, Shadows, Whites, Blacks. When you finished your video, you can export the results to different formats, like MPEG-4 Video, AVI, Animated PNG, different audio formats and Matroska video format. You can choose to export both video and audio, video only and audio only. You can export to whatever size you like and in any pixel accuracy, for example strange formats like 1926 x 1083, but also 8K 7680 x 4320 is no problem. 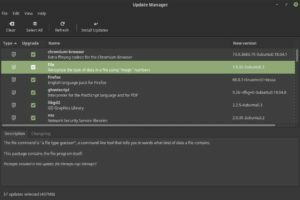 There are different ways to install Olive on Linux Mint. I am far from being a professional video editor and can only compare Olive with other Open Source and Closed Source solutions from an amature perspective. But although this application is still in alpha and it is clearly far from being the planned professional alternative to Adobe Premiere Pro, Apple Final Cut Pro, and Sony Vegas Pro, I can see that it already looks really promising and has in my humble opinion the potential to grow in something really nice for the professional Linux user. And being in alpha a big compliment to the developer as the application did not crash once on my Linux Mint setup. That is promising as all video editors under Linux crash quite often. Give it a try and see what the future maybe bring us.